When your heater isn’t functioning correctly and the temperatures take a nosedive, heater repair becomes a huge priority. Some repairs are quick fixes, and others require taking apart the entire heating system. No matter what the problem, the team at Cote’s Mechanical is here to fix it so that you can get back to enjoying a comfortable, warm home. If you have a heater problem, let us take a look at it and help determine the best heater repair option for you. You can trust us to find the most effective solution because we care about your overall comfort and well being. We are comfortable working on heaters from many common brands. Our goal is always to get your unit back up and running with as little intrusion on your life as possible so you can concentrate on more important things. 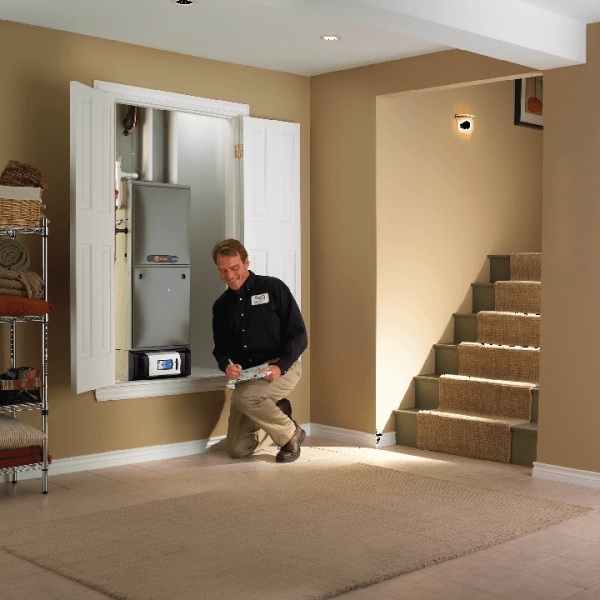 When you have a gas furnace, you’re likely a little nervous every time something goes wrong. After all, working with gas is a little nerve-wracking. That’s why it makes sense to call the experts when you need gas furnace repairs; don’t try to do it yourself. By letting us take care of the repair process, you can remain safe and assure the health and safety of your family and home. Plus, we back our work with a 100% satisfaction guarantee. Experience with electric furnace repairs in particular. NATE Certification. This is a seal of approval, so to speak, assuring that the technicians are the best in the business. A willingness to answer your questions. After all, you deserve to understand what’s going on with your repair job. A track record of honesty. When you are dealing with any type of repair job, you want to trust the company to steer you in the right direction. These are just a few of the qualities you’ll find when you look at Cote’s Mechanical. We have served the Denton area for over 10 years with electric furnace repairs and other HVAC services. Unfortunately, when you have a home or business that is heated with a boiler or radiator, there are a number of different things that can go wrong. Luckily, Cote’s Mechanical is just a phone call away, offering boiler and radiator repairs to help you get your system working once more. Our goal is to get you warm and comfortable again as soon as possible! Sometimes it’s difficult to pinpoint exactly where the problem lies when your heater is not functioning; you just know that you’re cold. When you call us, we will be out as soon as we can to do a thorough investigation and figure out the cause of the issue. We’ll then get it fixed quickly and with as little stress on you as possible. If you would like any information about the various heater repair services we offer at Cote’s Mechanical, contact us today. We’re ready to talk and help you get your home warm and comfortable once again.